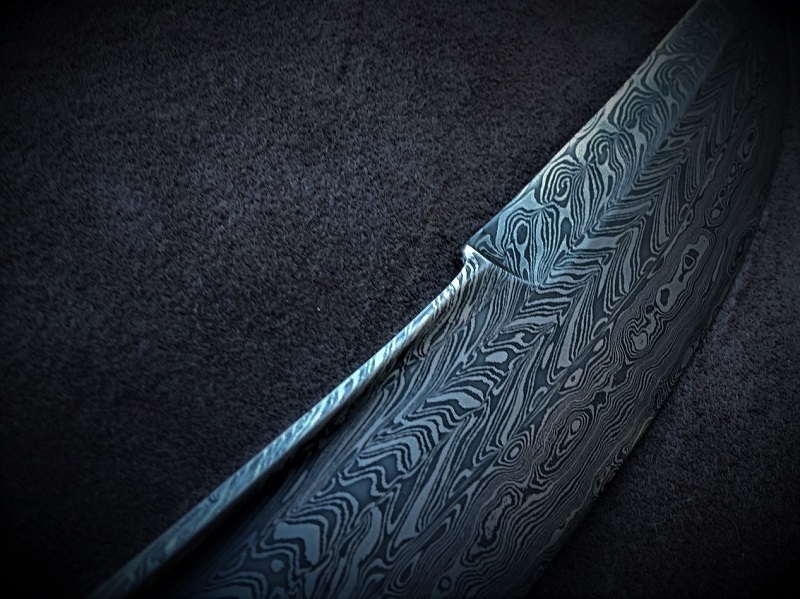 This is a hand forged multibar constructed blade by Ilya. 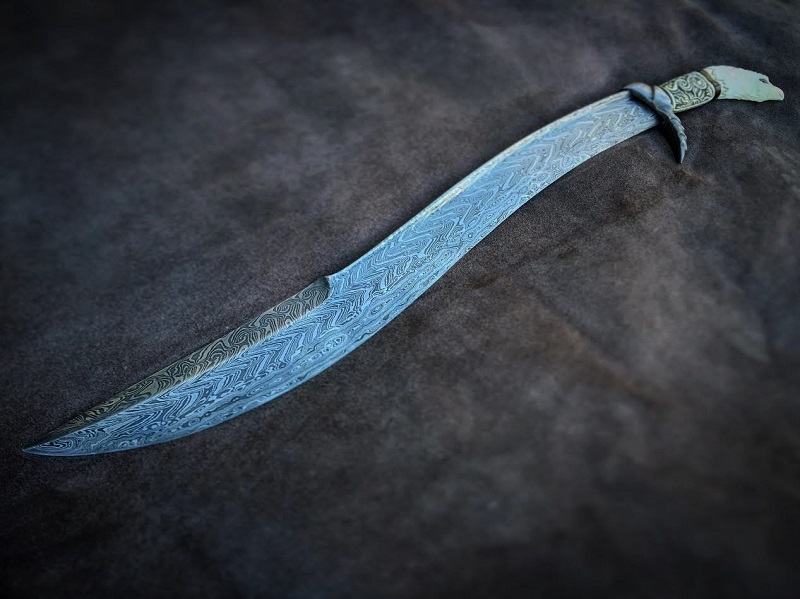 It is forged in the style of Hungarian Yatagahns. 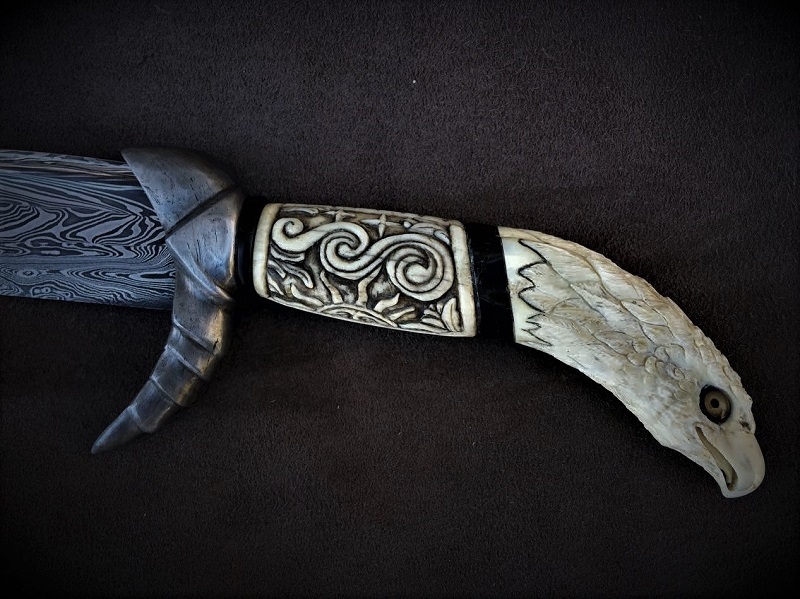 The handle is a carved eagle out of wild boar tusk and features horn spacers. The guard is made out of wrought iron. The blade is sharp and is a fantastic chopper. The spine was upset during the forging. The carving is done by Ferenc Gregor. Forging by Ilya and grinding and finishing by Matt.